Lis Neris: Lis Neris La Vila he Lis Neris La Vila has deep straw yellow, with an intriguing, intense, complex and persistent bouquet. Wonderful scents of tropical fruit merge perfectly with notes of bergamot, candied citrus, acacia blossom, peach, apricot and ginger, before a full, enveloping, deep and harmonious flavour floods the palate. 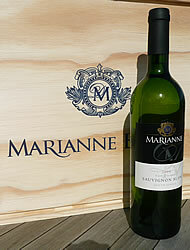 Fresh and rewarding, it closes with a finish characterised by excellent persistence. https://www.weinbaule.de/white-wine-italy-lis-neris-vila-p-2693.html?osCsid=f694e3ad7e806625665a0a44f0b3bcfe"> Wine 22.99 WeinBaule.de | The Home of Wine Lis Neris New In stock!